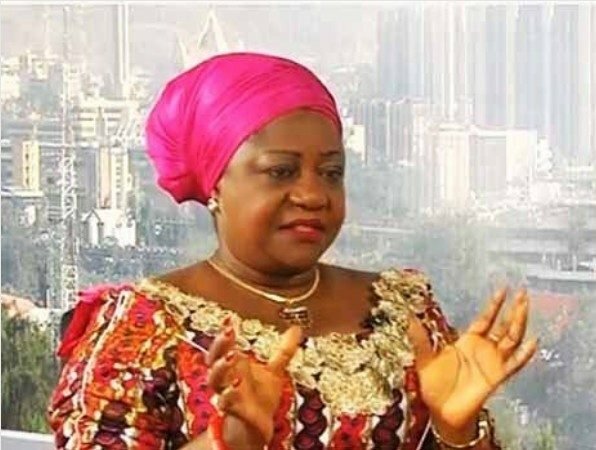 President Muhammadu Buhariâ€™s Personal Assistant on Social Media, Lauretta Onochie on Thursday rubbished the meeting between the Peoples Democratic Party, PDP, Presidential candidate, Atiku Abubakar and his campaign team in Dubai. Abubakar, a former Vice President met with his running mate, Peter Obi; the Senate President, Bukola Saraki in Dubai to strategize ahead of 2019. Also in the meeting were ex-Ogun Governor, Gbenga Daniel; ex-aide to former President, Reno Omokri, Bayelsa East Senator, Ben Bruce, among others. Reacting to the meeting, Onochie warned that pensioners are waiting for Abubakar and his campaign team. Onochie, who shared remarks of the All Progressives Congress, APC, National Leader, Bola Tinubu on the meeting via her Twitter handle also stated that students who no longer pay tuition fee, traders who have been energised by the Buhariâ€™s government are waiting for them. â€œWe know what they are doing in Russia, oops, Dubai. â€œPensioners are waiting for them. â€œStudents who donâ€™t pay tuition fees anymore are waiting for them. â€œTraders whose markets have been energised, are waiting too. â€œThose who have been victims of corruption, are waiting too. We are,â€ Onochie tweeted.